On November 2, President Obama signed the Bipartisan Budget Act of 2015 which will drastically change the way the IRS audits partnerships in the future. The purpose of the change is to make it easier for the IRS to assess and collect tax on large partnerships, although virtually all partnerships will be affected in some way. Currently, there are three different regimes that apply to tax audits of partnerships (and LLCs that are treated as partnerships for income tax purposes) all of which have in common that any additional tax owed as a result of an audit adjustment is payable by the relevant partner and not by the partnership. The new rules, when effective, will generally shift the tax liability for partnership audits from the partners to the partnership. The new rules will generally apply to IRS audits of partnership returns for 2018 and subsequent taxable years. However, a partnership may elect to apply the new rules to any return filed after enactment. So, partnerships can generally elect to apply these new rules to returns for the 2015 through 2017 taxable years. Taxpayers may want to wait until the IRS issues further guidance before electing early application. Under the new rules, a partnership will generally be liable for tax, interest, and penalties attributable to an audit adjustment of income, gain, loss, deduction, or credit of a partnership. Generally, this imputed underpayment is determined based upon the highest rate of tax in effect for the partner for the taxable year under audit (the “reviewed year”). Where the distributive share of a partnership item is reallocated from one partner to another, the imputed underpayment is determined by disregarding reductions in the tax to any partner (i.e., the adjustments to partners are not netted). No deduction is allowed for the tax, interest, and penalties paid by the partnership. If the partnership ceases to exist before a partnership adjustment takes effect, the former partners will take the adjustments into account, instead of the partnership. Hopefully, forthcoming regulations will provide guidance as how this rule will apply. The statute is silent as to whether the partners are liable for the imputed underpayment if the partnership still exists but is unable to meet its obligation (due to bankruptcy or insolvency). A legislative summary of the Budget Act suggests that partners would not be liable if the partnership is unable to make the payment. For adjustments that do not result in an imputed underpayment (such as a decrease in income or an increase in a loss of the partnership), the partnership takes into account the adjustments in the taxable year in which the audit (or any judicial review) is completed (the “adjustment year”). The new rules permit some (or all) of the partners, instead of the partnership, to pay their share of the tax on the partnership adjustment by filing an amended return. 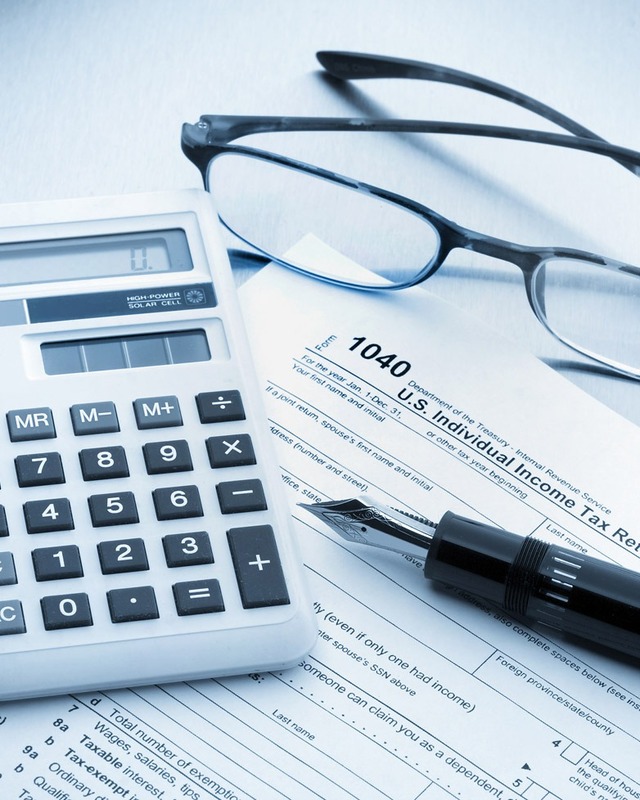 In such situation, the tax is computed and paid by adjusting taxable income items and credits in the reviewed year. An adjustment that reallocates the distributive share of a partnership item from one partner to another can only be used if all of the partners affected by the adjustment file an amended return. In addition, the partnership can elect to have the partners report the adjustments and pay any tax that is due. Where this election is made, the partnership is not liable for the imputed underpayment. Instead, the partners determine the increase in tax for the reviewed year and all other taxable years affected by the adjustment. The increase in tax is treated as an additional tax owed by the partner in the taxable year in which the partner receives a statement from the partnership that details the adjustments. Under existing rules, making voluntary adjustments to partnership taxable income in a prior year is generally problematic. To affect such a change, the partnership and all of the partners (including higher-tier partners) need to amend prior year returns. Under the new rules, the partners will not need to amend their prior year returns. Instead, an adjustment to a partnership item is effectuated in a manner similar to the rules described above for adjustments as a result of an IRS audit. The adjustment is taken into account by the partnership or the partners in the partnership taxable year in which the request to adjust one or more partnership items is made. Hopefully, forthcoming guidance will describe in more detail how these rules will apply. Existing rules require partners to file returns on a basis that is consistent with the partnership’s return treatment unless the partner discloses the inconsistency. The new law expands these rules to make it easier for the IRS to assess a tax when there is an inconsistency. Currently, any partner generally has the right to participate in a partnership audit. With the new rules, only the partnership and a single, designated partnership representative will be permitted to participate. The partnership representative does not need to be a partner. The partnership and all of the partners will be bound by actions taken by the partnership (or the partnership representative) in the audit and by the final decision in the proceeding. The statute does not provide for a method to remove a partnership representative. Under existing rules, certain partnerships with 10 or fewer partners are not subject to the rules that require the IRS to audit a partnership at the partnership level. The partners of such small partnerships, unless the partnership elects otherwise, may instead be subject to an audit with respect to their share of partnership income or loss. Generally, the new law maintains these rules with modifications. The law changes the definition of a small partnership to a partnership with 100 or fewer Form K-1 partner filings. In addition, the small partnership rules will no longer be the default. Instead, the small partnership rules will only apply if the partnership makes an affirmative election annually on a timely filed return and includes appropriate information to help the IRS identify the partners. Many of the provisions in the new partnership audit rules are complicated and will require further guidance from the IRS and the Treasury Department to clarify how they are to be applied. In addition, other provisions are not self-effectuating and will only come into effect after the issuance of guidance. Many existing partnership agreements have provisions that deal with IRS audits under the existing rules. Partners may need to consider modifying existing agreements before 2018 to take into account the forthcoming new rules. It remains to be seen how state taxing authorities will react to these new federal rules. Many states do not currently have specific rules for partnership audits. The enactment of new federal rules, may spur state taxing authorities or state legislatures to change the state rules.